Sometimes customers don't understand the scale of NPS and give you a wrong evaluation. 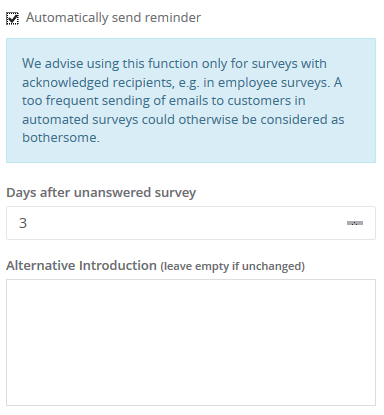 To give your customer the opportunity to correct this we have integrated a function to resurvey the customer. - Search for the answer of the customer and click on it. - On the right side you can see the process. - Click on "Resurveying" to resurvey this customer. - Click on "Add Note". A textbox will appear where you can type in your notice. - Click on "Add" to save your note. Now you have the possibility to import complete segments instead of every customer individually. 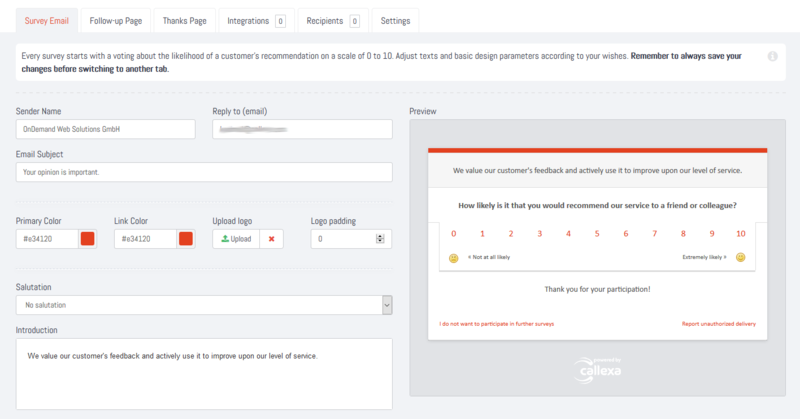 This gives you the advantage to create a list of customers (segments) via Mailchimp and import it into Callexa Feedback. 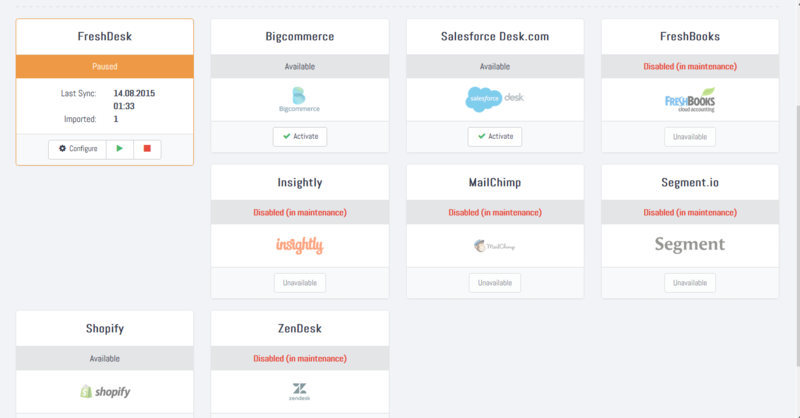 It becomes unnecessary to delete unwanted customers manually after you have imported them into Callexa Feedback. 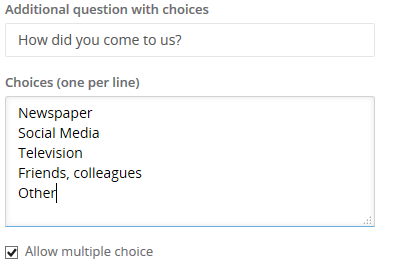 - Click on "Recipients" within the survey. 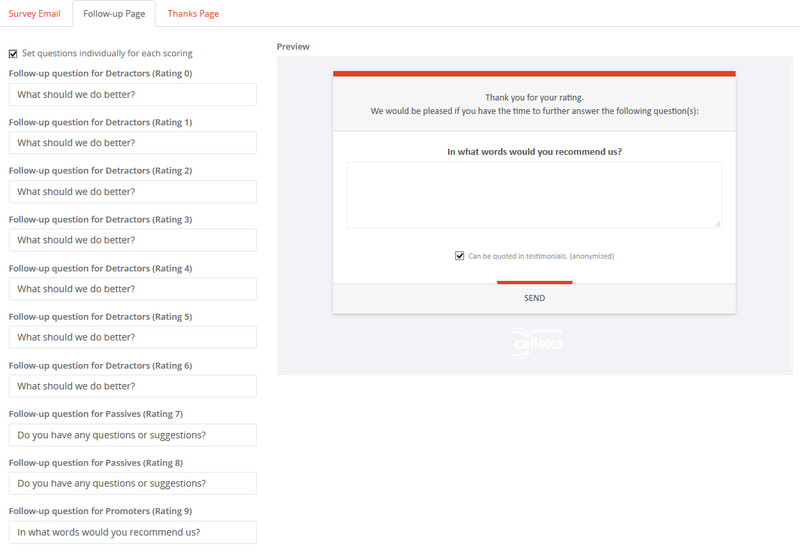 - Choose Mailchimp on the right side and choose the segment you want to import. - Click on "Save" to start the import. We have added a graphical presentation to show the history of evaluation from one customer. 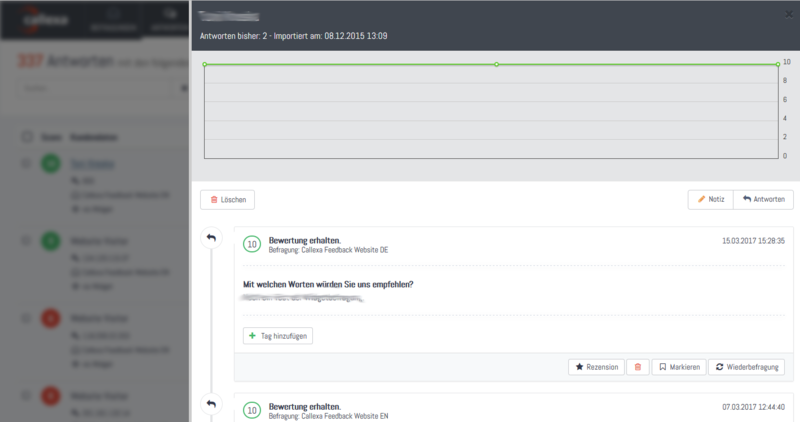 - On the right side you can see the line chart of the customer's evaluations.